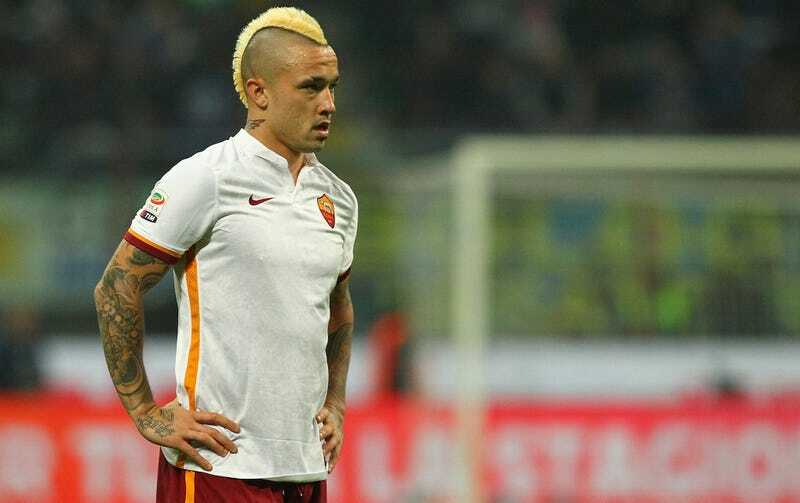 It’s perfectly understandable how one might look at Radja Nainggolan and imagine him a strange character. It’s also understandable why one might hold the belief that he should be locked up for his numerous assaults on opposing players’ legs. What isn’t so reasonable is seeing the Roma midfielder just chilling in a hotel in his native Belgium and calling the cops on him on suspicion that he’s a terrorist. According to a report by Belgian newspaper La Dernière Heure, guests at the Radisson Blu Astrid hotel in Antwerp called police on Tuesday night, worried by the appearance of the Belgian-Indonesian midfielder. When the officers arrived, however, they immediately recognised Nainggolan and realised that the guests had make a mistake. Thankfully, this had a happier ending than some of the other times we’ve seen athletes mixed up with police.